Waveguide’s deep experience and best- in-class resources combine to create a comprehensive and scalable network design that meets our client needs and attains the goals of the network. We value engineer our solutions at every opportunity and actively collaborate with our partners throughout the design process. This process ensures there are no surprises during construction process, ensures that the total cost of ownership (TCO) of the network is known and our customers achieve the Return-on-Investment (ROI) they expect. A brief video of our Best in Class Resources. Waveguide has a seasoned site acquisition team that works in concert with our Utility Management group. We find that by sharing information across the groups early in the process we avoid potential conflicts further down the deployment cycle. This proactive approach allows for us to take into consideration things like utility constraints and zoning/neighborhood restrictions. Additionally, Waveguide’s construction team provides high-caliber, customized construction services across the Northeast. From campuses and central offices to wireless carriers and financial services companies we’ve worked with them all. Our in-house team has built over 2500 miles of fiber over the last 4 years and the pace continues to increase. Our aerial and underground crews are some of the best in the region, so whether we’re pulling fiber between poles or direction drilling under railroad tracks we’ve got you covered. 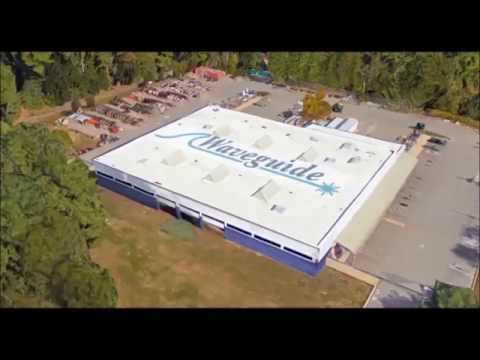 Waveguide began as an OEM Fiber Optic Manufacturer providing access to cutting edge, emerging technology. Due to our roots in the industry, our technical knowledge in fiber optics is unsurpassed in OSP. We leverage these deep roots in our Integration and Optimization efforts. We integrate the networks we build to our client’s existing network(s) and before leaving the site optimize the network to ensure it’s operating to its full potential. This requires interfacing with our client’s NOC and other technical support personnel and allows us to hand off a fully functioning, optimized network. Waveguide provides 24/7/365 restoration services to many tier 1 infrastructure providers. Our NOC efficiently deploys our technicians ensuring we meet our customer’s MTTR (Mean Time to Repair). Our technicians are fully equipped and trained to identify the source of the outage and repair damage immediately. We also have fully equipped construction crews on standby for outages where large amounts of fiber optic plant need to be replaced. Questions about any of the services we provide?